For this Triton Health Insurance Company Review, we will be discussing Triton Insurance Group, which is based in Florida. Although Triton was started in 2007, it is a part of Zubero Insurance, which has been around since 1993. Triton Insurance Group offers products for health insurance, as well as for life, flood, business, car, and home. If you would like to compare health insurance quotes for this company and others in your local area just fill in your zip code now. Triton Insurance Group is an independent agency. 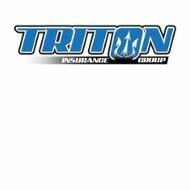 There are a number of different carriers of insurance who offer the variety of products available through Triton Insurance Group. A benefit to this is that the employees of Triton Insurance work for you rather than for one specific company, which means that you get the best policy for what you need. Triton Insurance Group values their high quality clients. To attract more of the same, they offer a gift card program for their current clients. For those that help Triton grow their business, they are rewarded with rewards in the form of gift cards. Clients receive a gift card when they refer two family members or friends to Triton Insurance Group. These referrals should be qualified referrals, which mean that they want names of people who are expecting an agent’s call, instead of just being a cold call. Keep in mind that any referral that you give will be treated with the utmost respect, that any information provided will be kept private, and that they are under no obligation to purchase insurance from Triton. Because Triton Insurance Group is partnered with so many insurance partners, they are able to offer a variety of insurance products. Health insurance is one of their products, which includes personal traditional insurance, major medical, and supplemental insurance. The company offers insurance for your vehicles such as your auto, boat, and motorcycle. It offers insurance against floods, life insurance, and personal umbrella insurance to give you an extra layer of protection. Speak with an agent to see what insurance needs are the best for your business. Many of the insurance carriers offer discounts for their products to help save you money. Speak with your Triton agent to find out if you are eligible for any discounts with the policy, you have chosen. There are auto related articles like understanding the basics of auto coverage. If you have business insurance questions, there are some articles referring to commercial insurance and some of the misconceptions. For financial ratings regarding Triton Insurance Group, go to http://www.ambest.com. Since Triton Insurance Group only offers insurance in the state of Florida, you can compare health insurance rates for companies in other states by entering your zip code now.